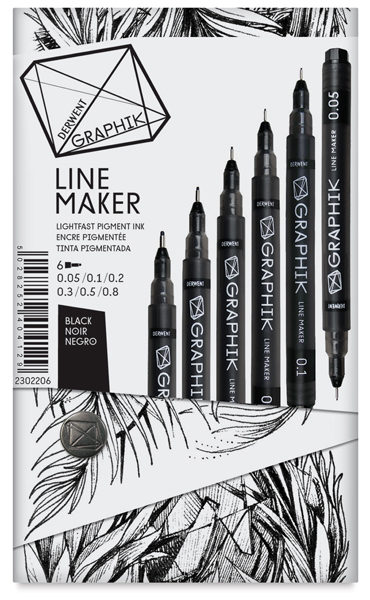 Featuring rich, pure waterbased pigment ink and Japanese nibs in a range of sizes, Graphik Line Makers lay down smooth, free-flowing lines, perfect for adding tone to illustrations. Quick-drying, lightfast, and solvent-free. 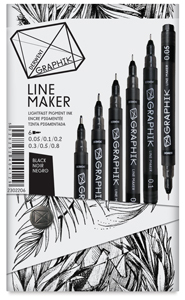 Sets of three pens contain one each of the following sizes 0.1 mm, 0.3 mm, and 0.5 mm.